Hiawatha falls to Keith, 2-1, Tuesday in Kirkland. 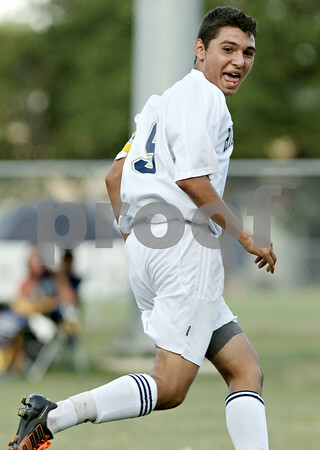 Hiawatha's Reyman Solis watches his goal during the first half in Kirkland Tuesday. Keith defeated Hiawatha, 2-1.